Eco is entertaining – all his novels sport very witty laughs. He’s also literarily talented – all his novels contain successful, consciously written passages of formally beautiful prose (e.g. Belbo playing his trumpet). And he is delightfully eloquent – very Baroque indeed (which is great if you happen to be into the baroque). Yet, Eco fails — he fails first and foremost as a story-smith. His plots, consciously modernist/ weirdly abstract, a la Peter Greenaway though they be (a made up secret society plot turns out to be a fact; a hero believes his daydreams enough to swim to his death in the belief that he is swimming towards its happy-end conclusion, etc. ), yet somehow fail to deliver on their promise in the end: closing the book, one is left scratching his head – what was the point now? Perhaps Eco unnecessarily insists on bringing his plots to conclusion, instead of leaving them hanging open-ended as another might. His novels fail in another way, too: though it is easy to find some of Eco’s characters very engaging (Old de la Griva, Saint-Soveign, Ampama, Aglie), his central characters – those of whom we end up learning the most (Young de la Griva, Belbo, Baudolino) are… dull, strangely colorless and unattractive. They strike me the way many scholars I know do: immensely well read and literary, witty and yet curiously uninteresting — lacking in fantasy, imagination, sparkle; as if they were but a bundle of tissues and learning — without a person inside. I imagine Eco’s characters to be very much like Eco himself – their lack of… brio seem rather very in much in keeping with the kind of person happiest spending endless hours desk-bound, filling page after page after page with words. Enjoyable as they are, Eco’s books invariably leave me dissatisfied in the end: the plot ends with a disappointment, the central character I have been reading about – not worth the effort after all. Lots of good verbal fun, yes – but, somehow, in the end, to no purpose. 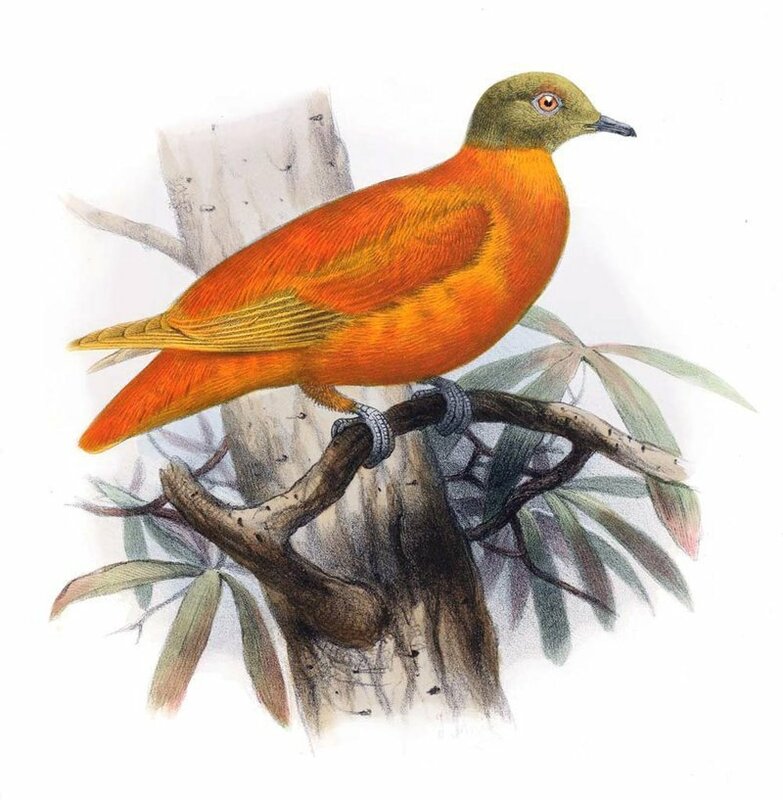 Quite a lot like the orange dove, in fact.